When Vaclav Havel became president of Czechoslovakia after the “velvet revolution” of 1989, he was, to his astonishment, master of the huge presidential castle complex, the Hrad, with its dominant position overlooking Prague. It was in many ways a forbidding place to Havel and his fellow revolutionaries, having been occupied previously by communist dictators, leading Nazis and Habsburg emperors. Havel knew, too, that there had been a tradition — under Czechoslovakia’s first president, Tomas Masaryk — of using enlightened architecture to bring the castle and its surroundings closer to the people. So, in 1990 he recruited his friend, the colorful designer and architect Borek Sipek, as his “court architect”, charged with humanizing the Hrad without harming its older magnificence. Returning after a long period in exile, Sipek was skilled in everything from carpentry to glasswork. As he once put it, he believed that “architecture has the power to manipulate people positively”. He designed new entrances to the Hrad to frame ceremonial occasions, and worked on its interiors too, with new chandeliers and office furniture to replace the grey functionality inherited from communist bureaucracy. He also created special gifts for Havel to give foreign visitors, showcasing the great Bohemian tradition of artistic glasswork. His designs complemented an exuberant informality that Havel and his entourage brought into the buildings, using scooters to travel down long corridors, and staging — under the playwright-president’s personal direction — events full of costumes, music and imaginative lighting. 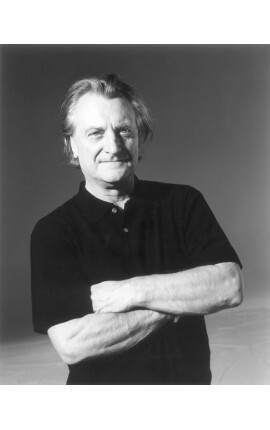 Interested throughout his life in the detail of design as well as the broader vision of architecture, Borek Sipek was born in Prague in 1949, but both of his parents died when he was a child. 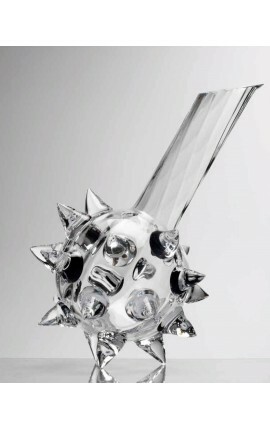 He was brought up in the household of the glass artists Rene Roubicek and Miluse Roubickova, surrounded by enthusiasm for design and the technical challenge of glassblowing. He moved to Amsterdam, where he ran an architecture and design studio, in 1983, and married the Dutch dancer Bambi Uden. 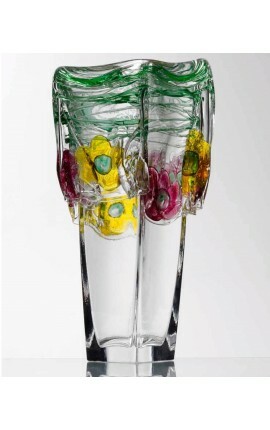 The couple had two sons: Dalibor, who is a glass-blower, and Milan, who is the head of a Sipek gallery in Shanghai. He later started a relationship with the singer Leona Machalkova, with whom he had another son, Artur, in 2003. 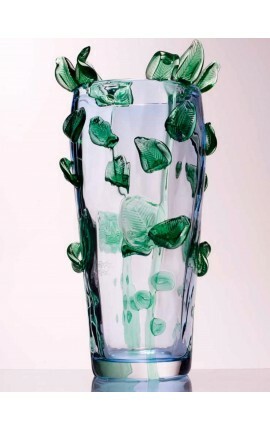 Sipek’s work on everything from furniture to china and glass objects began in the 1980s to attract international commercial attention, including a partnership with the Italian design company Driade. The fashion designer Karl Lagerfeld became an enthusiastic collector. As a proud Czech, he built on the centuries-old Bohemian tradition of artistry in glassmaking as he produced bowls, carafes and vases. His architectural work on the castle in Prague came to an end after Havel’s departure from office. After the former president’s death in 2011, Sipek designed memorials to him known as “Havel’s places”. He also remained active as an architect — from the Netherlands to Japan. He loved east Asia — Thailand and its food was a passion — and he was also commissioned in 2014 to help design a shopping complex in the rapidly expanding Chinese city of Foshan. He relished, he said, such a challenge despite the onset of pancreatic cancer. What his life of repeated emigration and return had taught him, he once reflected, was that, “If you cannot start again and again, you end up in a routine”. Bořek Šípek There are 3 products.